Charge the customers of ISPs, cellphone carriers or even device manufacturers a flat-rate fee as part of their data service plan or purchase, in exchange for the right to access and possibly share music from the major record labels’ catalogs. That way, downloading is decriminalized and the recording industry is guaranteed revenue. 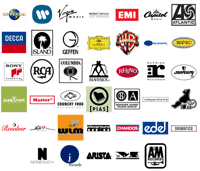 Of all the four major labels – Universal Music, Sony BMG, Warner, and EMI – Universal, publicly at least, has been most committed to the idea. First, by touting its own Total Music plan, and then through announcing a partnership with Nokia as part of the handset maker’s “Comes With Music” offering. Now it seems that Warner Music has been handed the flat-rate baton. Or more specifically, Jim Griffin, the former head of digital at Geffen Records and an outspoken critic of the music industry – Griffin sits on the advisory board of the Electronic Frontier Foundation (EFF) – who was recently hired by Warner to “spearhead a controversial plan to bundle a monthly fee into consumers’ Internet-service bills for unlimited access to music”, writes Portfolio.com. Warner’s flat-rate music proposal would start by targeting University campuses, whereby a charge of $5 per-month for example, would be added to tuition fees. In return for paying, students will be given amnesty by the music industry as part of a “covenant not to sue”, so that they can continue to download and share music over the college networks (in the usual P2P manner) without fear of litigation. The same model would then be offered to commercial ISPs, who likewise would incorporate the flat-rate fee as part of each customer’s broadband subscription. Flat-rate fee or music tax? Proponents of a music flat-rate hate to hear it called a form of “tax”. Instead, as the fee won’t technically be mandatory (although Mike Arrington argues it is in all but name), think of it more as a blanket license similar to radio. 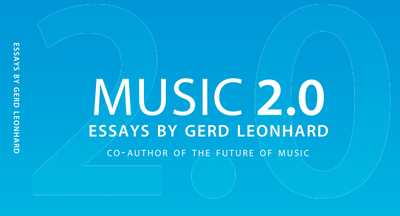 In a recent guest post here on last100, Gerd Leonhard, author of Music 2.0 and co-author of The Future of Music, argued in favor of a music flat-rate, describing it as a form of “feels like free” access to music, and “the music industry’s only realistic and timely chance to create a new basis for (re)monetizing music in the age of uncontrollable distribution”. “What we need is simply a new blanket license for the use of music on digital networks, voluntarily agreed upon and provided by ALL creators and their representatives – a pool of money and a fair way to split it up”, writes Leonhard. [The] music flat fee would very likely be bundled into other services (think ISPs, wireless, search etc) and would ensure that a user’s basic connection is guaranteed and legalized. As with most flat rates, the ‘payments’ for digital music will be woven into other service offerings and therefore become less noticeable, burdensome or obtrusive, thereby becoming an accepted mode of getting what you want without having to make a constant music purchasing decision every single time. … the plan essentially comes down to telling ISPs that they can avoid any copyright infringement liability if they pay the fee on behalf of customers. And while the government wouldn’t be directly involved, the willingness of law enforcement agencies and the judicial system to enforce civil and criminal copyright infringement laws is the stick by which Griffin will convince ISPs to jump on board. It’s government endorsed extortion, nothing more and nothing less. In other words, ISPs will be inclined to join Warner’s scheme to “discharge their risk” of being sued, as Griffin puts it in the Portfolio article (so much for safe harbor) — and as a result, the flat-rate fee will be forced onto customers. … revenues will be a set size, regardless of the quality or type of music they release. Incentives to innovate will evaporate. There will only be competition for market share, with no attempt to build the size of market or serve less-popular niches. Forget labels building new brands and encouraging early artists to succeed – they’ll bleed existing big names for all they are worth and work hard to keep anything new – labels, artists, and songwriters – out of the market. New entrants just means more competition for a static amount of money. If an ISP file-sharing tax makes up the majority of the music industry’s revenue, it’s hard to see what incentive there would be for the major labels, with their huge back-catalogs, to continue to invest in new artists. Of course, there are many obstacles to clear before we’re ever likely to see an industry wide adoption of a music flat-rate, not least getting all of the major labels to agree to work together and ensuring that the pool of revenue created is divided up fairly (what about all of the indie labels and label-less artists?). The tracking and accounting issues alone are huge, particularly as, under the Warner scheme, users will be given an amnesty to continue sharing music over existing P2P networks. What do you think of a flat-rate or music tax? Workable? Good or bad? Music industry revenues will be a set size, regardless of the quality or type of music they release. Incentives to innovate will evaporate. There will only be competition for market share, with no attempt to build the size of market or serve less-popular niches. I have just published another 4 PDFs on The Music Flat Rate on my blog, here http://www.mediafuturist.com/2008/06/more-free-pdfs.html — lots more details for all that are interested. The digital music flat rate is inevitable, and it will feel like free to the users – unlike a TAX. Arrington needs to chill out on this, and dive in a bit deeper before he hits the ‘fire’ button again.